Brownie is a gorgeous brave boy who looks after and protects his owner while they live on the streets. He has a cyst on his paw that needs vet help. 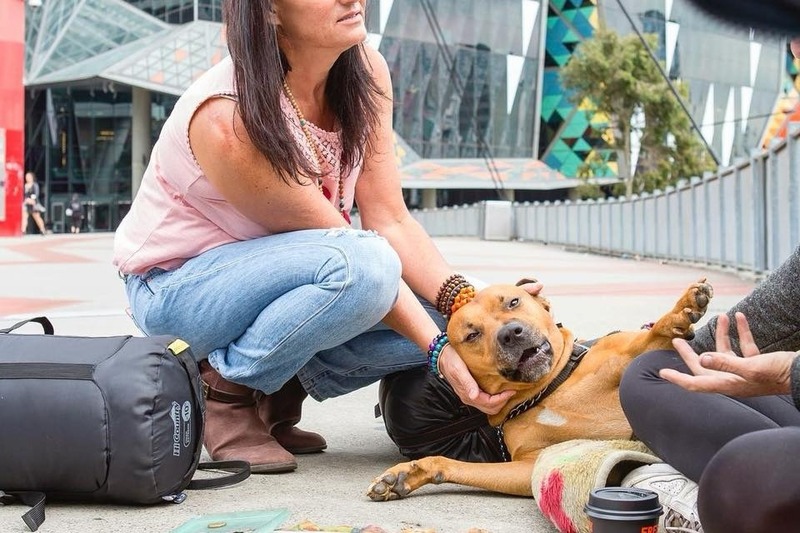 Brownie is a patient at the Lort Smith hospital but his owner has a $700 bill there that she is finding hard to pay as she is currently homeless and living on the streets. We'd love to raise money to pay for Brownies vet bill so his human can be happy knowing he's well taken care of. Any funds raised over the amount requested will go toward providing Brownie with any other care items he needs, like food, vaccinations, and warm bedding. We're a registered charity and know these two very well. All donations over $2 are tax deductible. Please help us help Brownie feel well again. We did it! In only 6 hours we raised enough to pay for Brownie's vet bill. We can't thank you all enough for your support. Any further funds will be used to continue to help Brownie get his vaccinations, worming, food and warm winter doggie jackets. We're thrilled. Thank you, everyone! We just spoke to Danielle at Lort Smith Animal Hospital. Brownie's vet bill is confirmed as $700 which is a bit higher than we had originally thought. We'd love to be able to pay as much off the bill as we can. It's far too much for someone experiencing homelessness to pay on their own.